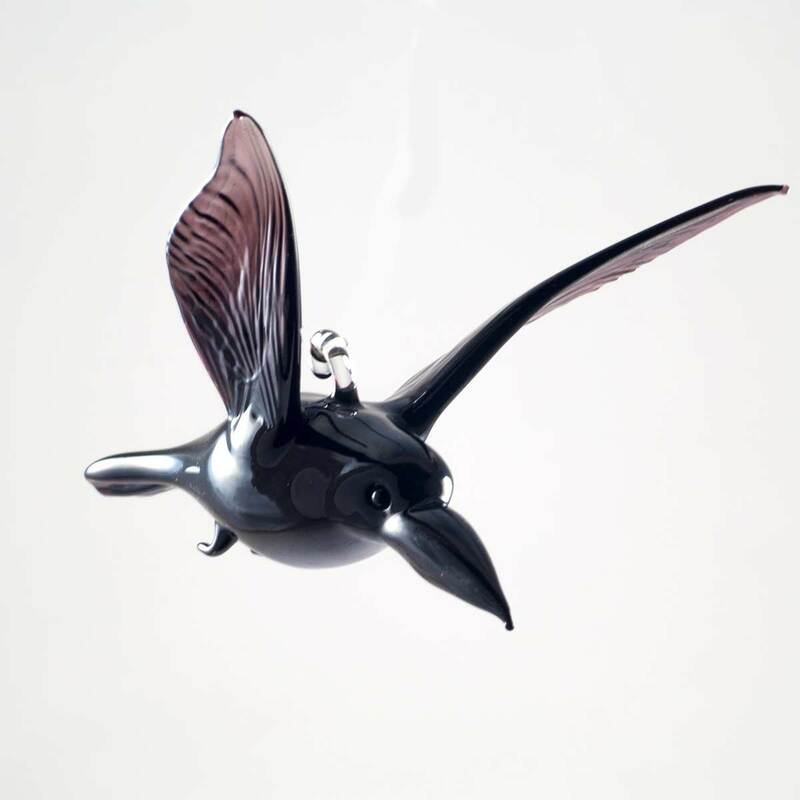 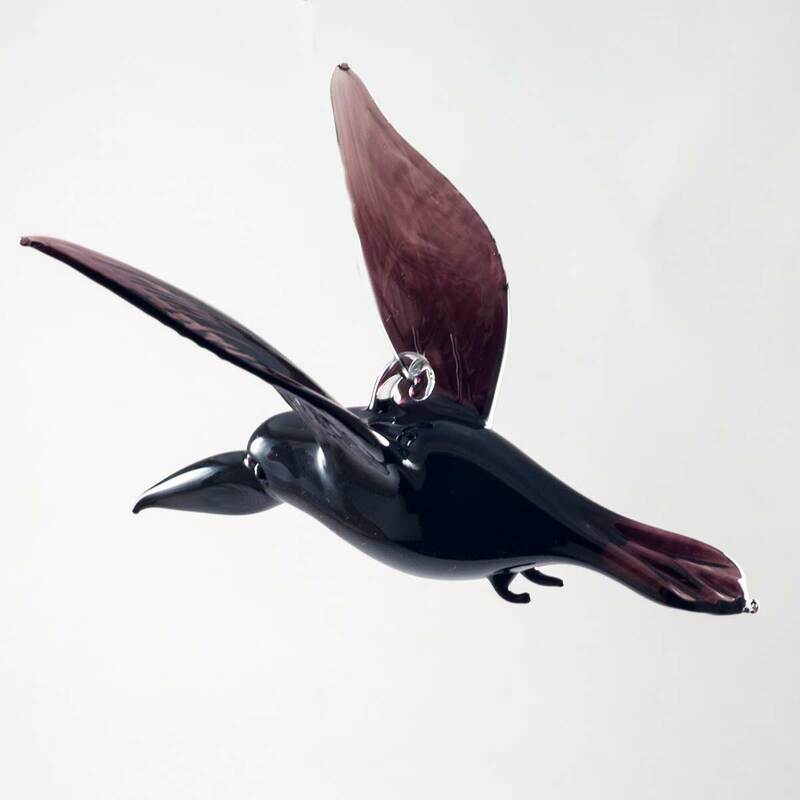 Raven Glass Hanging Figurine is a hand-blown art glass figurine which is created by Russian artists in art studio in St.Petersburg. 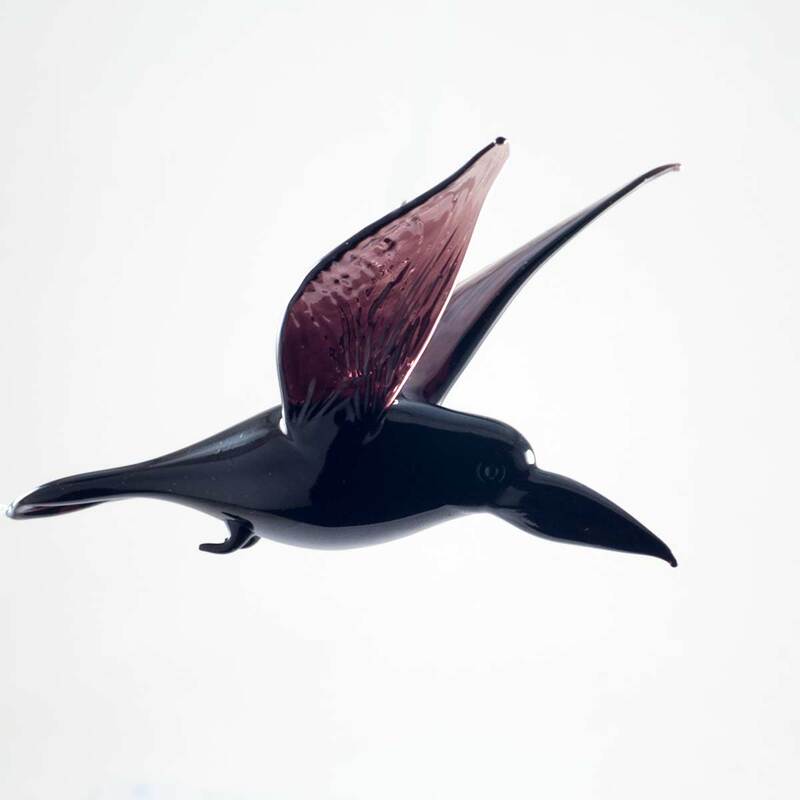 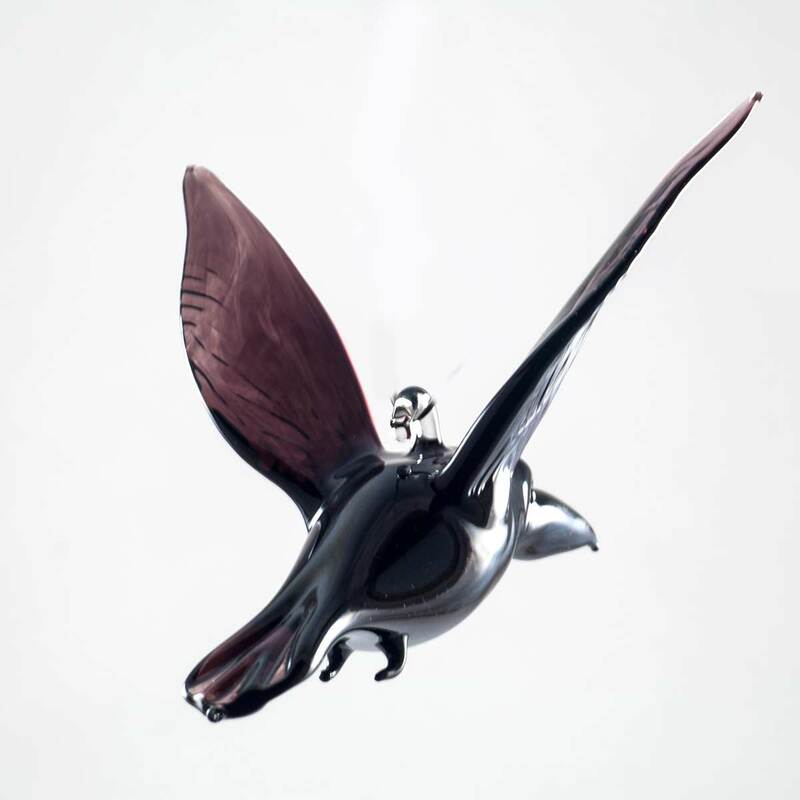 This figurine is made in technique of lampworking using color glass. 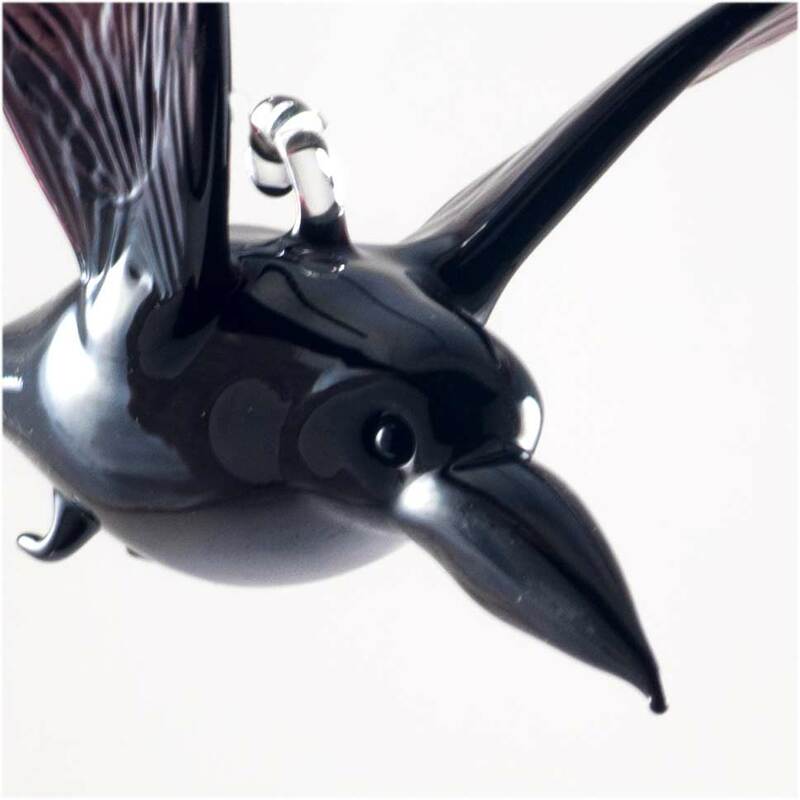 The figurine has a special glass loop to hang it on string.